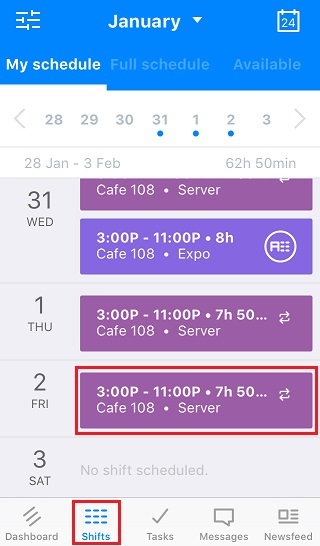 If you have made arrangements for someone else to take your shift, you can offer it to them in the Sling app and avoid another employee grabbing it before they have a chance to. 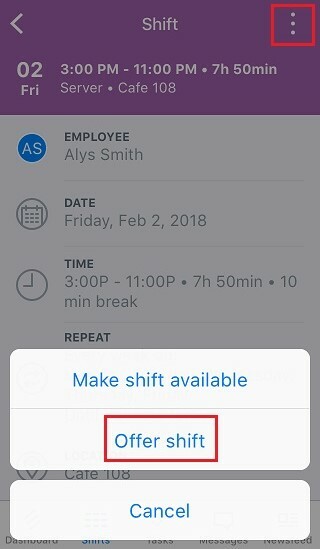 Go to the shifts tab, then find the shift you want to offer in the list and tap it to open the details. Next, tap the options button at the top right corner and choose Offer shift. The next screen will bring up the employee list. 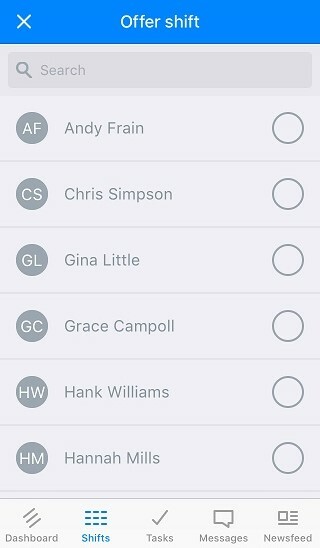 You can choose one from the list or type someone's name in the box at the top. Once you've chosen someone, you'll get confirmation that they have been sent a notification of the offer. 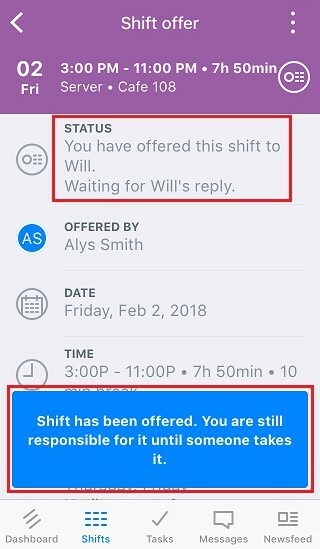 They will have the option to accept it or reject the shift. Your manager may also require approval for the swap, so keep in mind that the shift is still your responsibility until the exchange is approved.